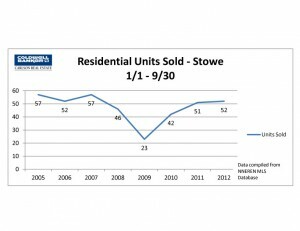 Stowe real estate sales continue to rise. Although the overall unit sales numbers are up only slightly over the same period from last year, the first three quarters of 2012 show a 25% increase in unit sales over the same period for 2011 in the under $500,000 category. 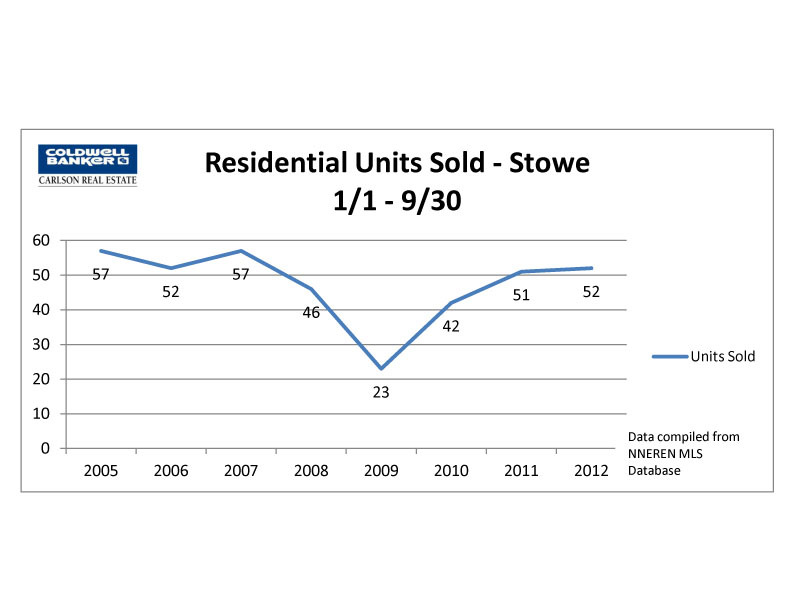 Total residential unit sales for the first three quarters of 2012 are back to 2006 levels. 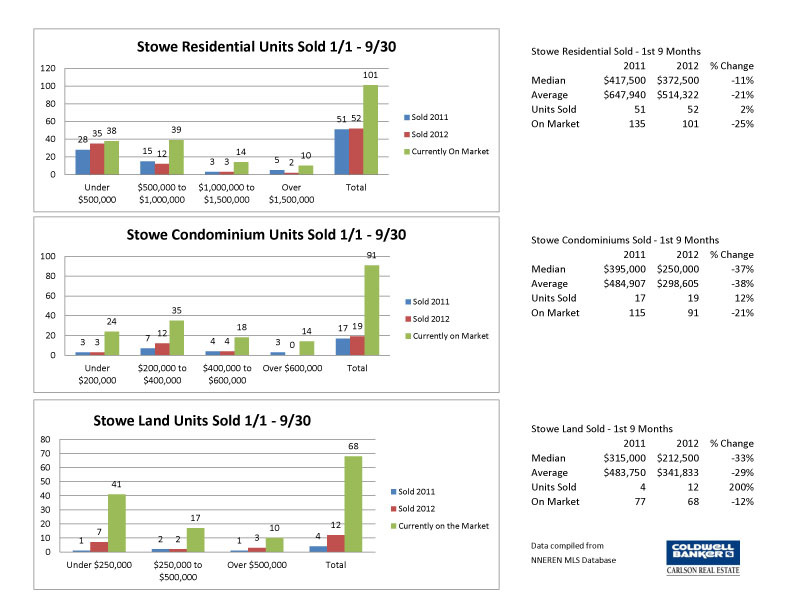 The interesting and exciting news is in the area of land sales. If residential sales have been dismal since the crash in 2008, land sales have been virtually non-existent. 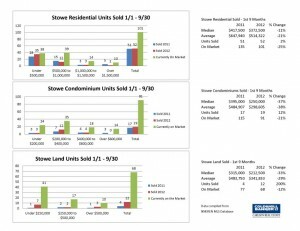 Stowe land sales for the first nine months have tripled as compared to the same period for 2011. This is a trend we hope will continue. Condominium sales for the first three quarters of 2012 are up slightly over the same period for 2011 with the most activity and biggest increase over last year in the $200,000 to $400,000 category.